The international au pair sector offers a rare combination of paid employment, provided lodging, as well as foreign language and cultural immersion. Today, ICEF Monitor examines the current state of the international au pair market – from regulations to mobility trends to industry data – and takes a look at where the sector is headed in the near future. The au pair sector is prone to rapid flux due to changes in the visa issuing policies of various countries. For example, in Germany, the Law on the Employment of Foreign Nationals was amended to extend the upper age limit for non-EU au pairs entering the country on a visa from 25 to 27 years of age. The change went into effect in July 2013. Additionally, the law forbidding non-EU au pairs working in households where one adult wasn’t a German or EU citizen, and where German wasn’t spoken as a mother tongue, has been removed. The law now allows au pair employment by non-German families as long as German is understood in the household. Changes have occurred in Croatia as well. When the country joined the EU in 2013, Croatian nationals no longer needed a visa or residence permit to enter the UK, however for a probationary period of five to seven years they are subject to restrictions in the British labour market, meaning a work permit will be required for any kind of job. There is also EU-wide legislation on the table designed to make it easier for non-EU students and academics to study and work in Europe. This legislation, which proposes new legal protections for au pairs, was discussed in detail on ICEF Monitor in April. But not all the recent changes have been designed to make movement easier for au pairs. For instance, in the Netherlands au pairs both from inside and outside the EU are now restricted from entering the country unless they possess a residence permit obtained from an officially recognised agency. The change went into effect last June. Half a globe away from the EU, another country experiencing a shift in au pair popularity is Australia, where demand has doubled since 2011 due to a childcare shortage. The Cultural Au Pair Association of Australia (CAPAA) plans to ask the country’s Productivity Commission to consider shifting to a US-style system, which provides au pairs with dedicated visas. Currently, au pairs must use working holidaymaker visas, which limit placements to six months with no option to extend. The CAPAA also contends that a US model would better regulate au pair salaries and hours. Au pairs would also have to pass background checks conducted by government-accredited agencies. The CAPAA believes these changes would make the system more transparent and make it easier for Australians to hire live-in carers. Regulations concerning the length of working hours will also vary greatly by country. In Belgium au pairs work a maximum of 20 hours per week, while in the US they can work up to 45 hours per week. In the US, where immigration overhaul was one of 2013’s front page issues, new rules for the issuance of J-1 visas would have reclassified au pairs as workers rather than cultural exchange participants, labelled recruitment agencies as foreign labour contractors, and banned them from charging recruitment fees. These proposed changes had arisen partly in response to instances of au pairs being exploited. But au pair groups joined with accommodation providers, summer camps, and other entities to oppose any new legislation, which they said would have imposed undue burdens on the entire industry to police a few bad actors. No changes have been made yet, but this year the entire programme is due for review, with the State Department eyeing stricter monitoring and protection for those who occupy such positions. With about 14,000 foreigners coming to the US in 2012 to work as au pairs, any alteration to the current set-up will have far reaching effects. The State Department hasn’t yet outlined its changes, but indications are that the agencies that place au pairs with families will face new rules. Shifting visa policies will naturally have tremendous impact on au pairs, so agencies and providers will need to carefully search out the latest rules and specific requirements involved for each country. Global statistics on the au pair industry are hard to come by; however, some countries do collect their own information and there have been limited surveys conducted by international bodies. One of those is the International Au Pair Organisation (IAPA), a global trade association for organisations active in au pair and cultural exchange programmes. IAPA continually monitors the sector’s performance in relation to external forces such as evolving visa legislation and the global economic climate. The 2012 survey it conducted of its members analysed patterns of recruitment trends, growth, and international mobility in the au pair industry. 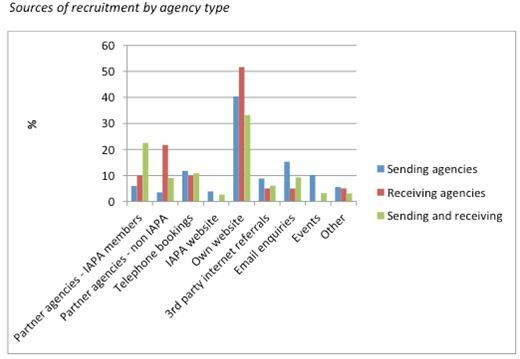 The result is a market snapshot comprised of feedback from 104 organisations in 28 countries (57% of IAPA’s total membership) answering questions related to their work during the year 2011. The survey revealed an increase in the number of au pairs sent in 2011, with the average agency reporting a total of 225 au pairs sent, for a growth rate of 10% compared with the previous year. Agents in Germany and France sent the most au pairs, with the US in third position. Peru, Poland, and Russia also moved up. 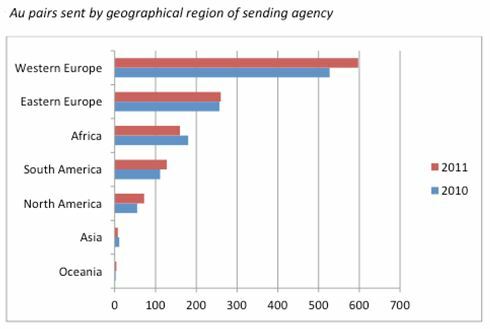 For regions, Western Europe, Eastern Europe, South America, and Oceania showed greater volume in 2011, but the numbers from both Africa and Asia fell, as shown in the chart below. 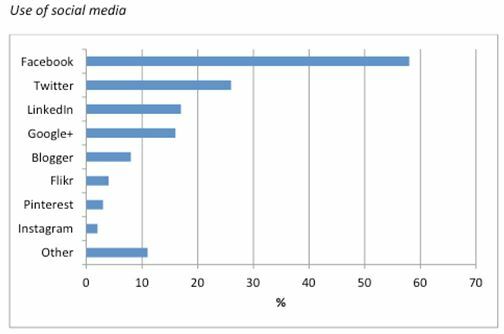 The top recipient countries in 2011 were the US, France, Germany, the Netherlands, Belgium, and China. 2013 was the first year since 2009 that au pair numbers rose in Germany compared to the previous year. In contrast, certain countries and regions showed a drop-off in numbers. The UK, which was in the top three destinations in 2009, fell to 8th in 2011. Spain, Ireland, and Italy also fell considerably, possibly due to in-country economic difficulties. The average receiving organisation pulled in slightly over 400 au pairs in 2011, 2.5% higher than in 2010. Looking outside IAPA yields some supplementary information regarding China’s growth as a sending market. Specifically, the website Au Pair Clearing House believes that sending numbers from China are up in the US. Bill Gertz, president of Au Pair in America, agrees, citing the growing number of adopted children from China and parents who want their children exposed to the increasingly important Mandarin language. But while Chinese au pairs are growing in popularity in the US, this is not true everywhere. For example, as current regulations stand, Chinese citizens are barred from becoming au pairs in the UK because only EU nationals are accepted in such positions there. Face to face networking is a tried and true method for establishing and strengthening partnerships in the au pair industry, and the Work Experience Travel Market and IAPA Annual Conference (WETM-IAC) provides a platform to do just that. Next month, approximately 300 participants will gather in London, UK to network and share best practices regarding many aspects of cultural exchange, au pairing, volunteering, internship and work experience abroad. In 2015, the event moves to Lisbon, Portugal. Au Pair World, the world’s largest online au pair agency, reported on their results for the first half of 2013, which showed a sharp increase in registrations of au pairs (up 56%) and host families (up 31%). Those percentages represented more than 160,000 new au pair registrations and 41,000 new host family registrations – an indication that interest in au pairing remains high. This entry was posted in Africa, Agents, Asia, Australia, Australia/Oceania, China, Europe, France, Germany, Middle East, Netherlands, North America, Peru, Poland, Regions, Research, Russia, South & Central America, United Kingdom, United States, Work Abroad and tagged work abroad, work permit, youth accommodation, education abroad, youth employment.